Today I’m kicking off my 12 Days of Christmas giveaways. That’s right, after the success of last year’s bumper giveaway, I’ve decided to host a whole series of them, giving more of you the chance to win. And I’m so excited to share some of my favourite brands with you. Over the next 12 days, you’ll be able to win stationery, jewellery, a hamper and more, so don’t be a stranger. 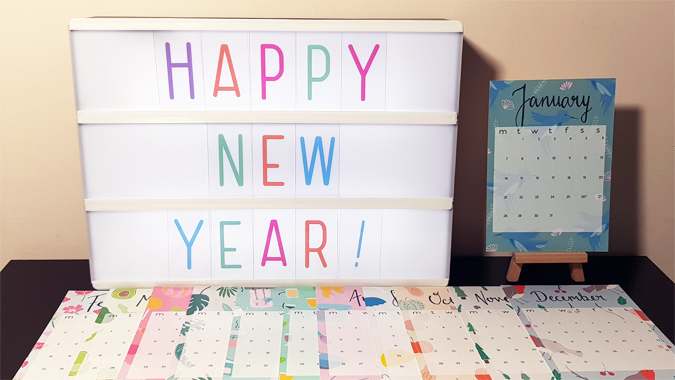 For my first giveaway, I’ve teamed up with the award-winning Not Only Polka Dots to offer you the chance to win a desktop calendar. 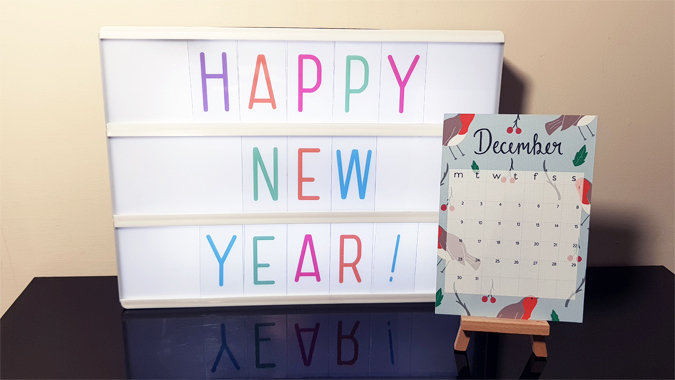 Imanina has designed 12 beautiful a6 calendar sheets, which can be displayed on a mini easel (supplied) on your desk. 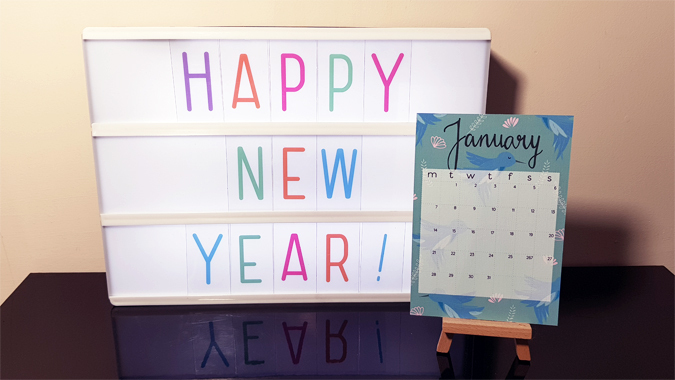 Desk pads are also available and you can select your own start month and day of the week. To be in with a chance of winning a calendar and easel, just complete the Gleam entries below before midnight Friday 7 December. A winner will be drawn at random and contacted directly. They will have a week to respond before an alternative winner is selected. UK entries only. Looks fab, a good way to get organised! I would love this on my desk. This calendar is adore! I love the design and how it’s displayed on a mini easel (very cute). This would definitely brighten up my desk at work. I have lost my tree In the attic so can’t decorate yet! I can’t decorate yet – I can’t find the tree in the attic! !